Valentines Day in the Philippines is a very important date for the young lovers and the young hopefuls to really show that they are interested in someone. So, assuming they do capture the attention of their proposed partner, what do they do next? Definition of Courtship in the Philippines “Courtship is the best part of a girl’s romance and love life”. This is the reason why in the earlier courting practices there have been a lot of rituals involved. Thus, in those times, before they get married they are able to enjoy the labors of a suitor for her love even if it takes a year or more of courtship. In the span of courtship, they are able to enjoy themselves by being treated with utmost care and be given with all kinds of presents, from which it can be observed why some young women put off marriage to some late time to enjoy the privileges of being always free to be showered with affection. The kind of rigorous courtship practice that is well supervised by guardians is different from the west and one of these significant differences is dating. Dating is an art developed in western countries which is not original in itself but part of the courtship system in the Philippines. Unlike in the founded practice of chaperonage, the aim of dating from the western perspective is to “provide an occasion where a man and woman can be alone”. It can be a series of meetings where it would be best for them to develop a romance, learn compatibility if they choose to get married, find similarities or attracting spiritual or life values, “mutuality in sexual satisfaction and the meeting of psychological needs”. Also, traditional courtship was participated in or controlled by the parents and other kinsmen. This system was rooted in the Filipino view that marriage was a union not only of two individuals but also primarily of their families. Therefore, it was important for a son or a daughter to marry well so that the resulting union would enhance the good name of the family. However, in this generation, single dating is already a normal occurrence but the Philippines had originally developed a number of courting practices before dating came as an influence from the west. Before this modern period, almost every region had a different courting practice handed down to their families to practice. Luzon provinces or tribes had developed courting practices that were similar to each other since there is the closeness of cultures formed in between the provinces. Their courting practices are formed by their life conditions, traditions, and resources. …….The Ilocanos practice “tapat” a simple serenading of one’s love. Serenading is a means by which a suitor would be able to express his feelings for the woman he is courting through the singing of romantic songs at moonlit nights with his friends in the accompaniment of a guitar. Life has become more global, boundaries disappear and wrong, gridlocked opinions dissolve. The World is bigger than one’s own Village. One must not remain only be carried out under his peers. Life is too short to go on a rut. If love is not to be found in their own Country, then increase but your Options. Many Men are looking for the right Woman. Many filipino Women are looking for the right Man. This is very good condition, to find Happiness, do not you think? However, alone and without Insider, in the Philippines, which can be very dangerous. Also are several so-called dating sites for chatting and getting to know the internet usually crammed with fake profiles behind which stuck organized Gangs. So get a professional to entrust Agency ever. Filipino Women are very loyal, hardworking and very, very family oriented. A filipino Woman would never betray her Husband, she is by his side the entire life. Of course there are, as in all Countries, including the Philippines exceptions to the rule. So it can happen that the Woman has as it were given the task of the Family a Man from the West to marry as catering for the entire Family. The unsuspecting Man is the can not identify. For this reason it is important to have an Insider in the Philippines possible, it is very helpful. That need not be our Agency, there are other service providers. Of course, we welcome new Customers, but only those with really serious intentions. So again explicitly warned: Without a good Insider on site in the Philippines, you only pay Money for fraud and often a lot. The Agency “Dating Philippines” is specialized. 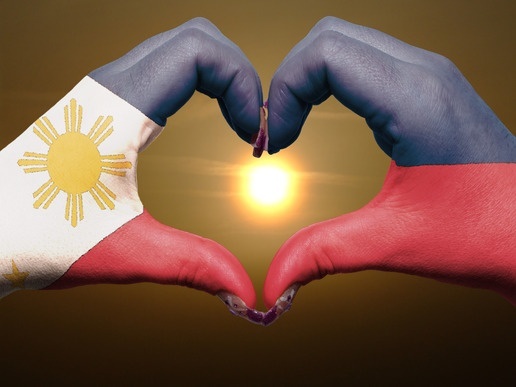 We attach great importance to respect for the filipino Women. We work exclusively for Men who have this Respect for the checked Women. The point is not as much as possible to bring together Men and Women. It’s about the future, to create happy Families. A high Level and much Respect is a prerequisite to be received by the Agency. Of course, we also help in all other matters, for example, the later want to live in the Philippines.